Cybersecurity is one of those issues most people find frightening and daunting. In his third Lana Elkins thriller, Thomas Waite again throws the reader into the world of hackers, attackers, and shadowy secrets. 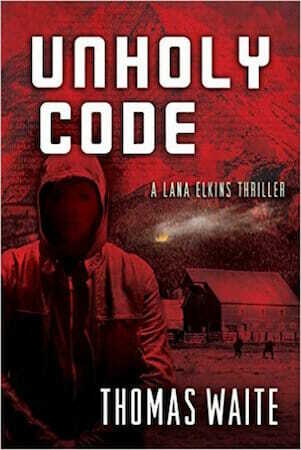 “Unholy Code” deals with racist rhetoric and the spread of both foreign and domestic terrorism. Waite has seen these types of parallels before. His debut novel was a murder mystery titled “Terminal Value.” The book involved the buyout of a startup mobile-computing company. The takeover was being conducted by a large information-technology company and was about to go public. Waite used the transaction to explore the dark side of corporate America. Learn more about Thomas Waite at thomaswaite.com. Sounds interesting and informative; not what I usually read.